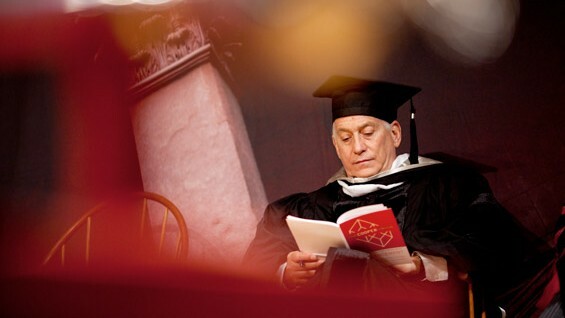 Walter S. Isaacson, acclaimed biographer of Steve Jobs, gave the address at The Cooper Union’s One Hundred and Fifty Third Commencement Ceremony on Tuesday, May 22, 2012. Scroll down to see a video of the entire speech. 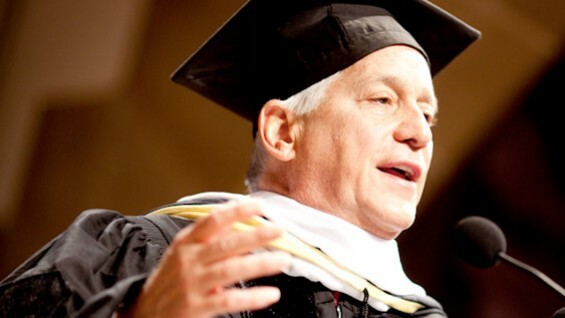 Isaacson cautioned the graduates that the advice “follow your passion” is not always great advice. “It’s all about taking your passions and putting them into service for something larger,” said Isaacson, who currently serves as president of The Aspen Institute. “It isn’t all about you … It’s important to know what your passions are and to put them to a higher purpose.” Video of the speech is below, and a transcript is also available. 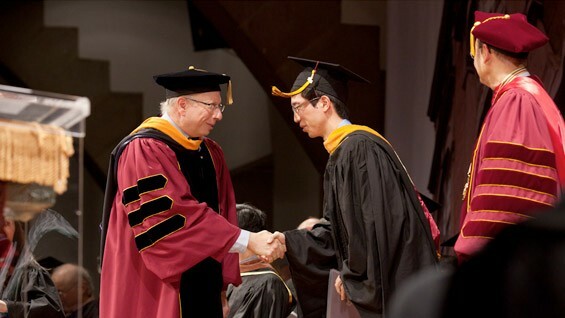 Student commencement speaker Benjamin Strauss drew applause when he said, “Our educational experience is different. 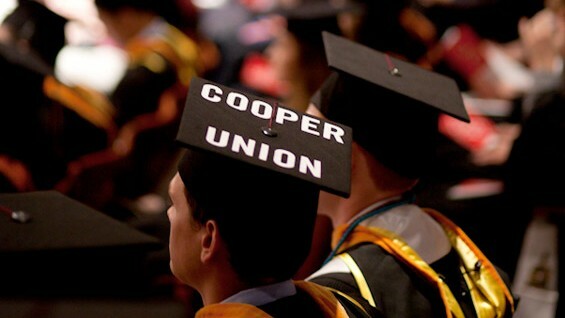 It is one which money could never buy.” Every Cooper undergraduate receives a merit-based, full-tuition scholarship. 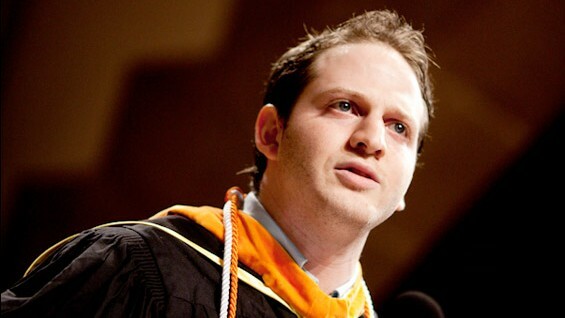 Strauss said, “We replace payments with contributions of intellect … We pay ours forward in the form of responsibilities to society … That includes financially supporting the institution that made us who we are.” Strauss is an engineering graduate who works as an EMT and has invented a way of detecting silent heart attacks. A video and a transcript of his speech are available. "You have left your imprint on our community, and will go on to leave your imprint on the world. You have developed life-long relationships at Cooper. We will all be rooting for you. Stay in touch. Let us know how you’re doing. Cooper is a family, and you are always welcome home."